On Tuesday---yes, Tuesday---May 15th, the UFC will feature 6 fights on Fuel TV and 6 preliminaries on Facebook. Not everyone can afford the PPVs, and not everyone can get to a bar to watch the fights, so these free TV events not only expose a new audience to the UFC, but allow free viewing for all. On paper these cards are never as scintillating as PPV, but as Dana White says: “They’re free. Quit complaining.” Besides, the fights can be every bit as exciting as any main event headliner. 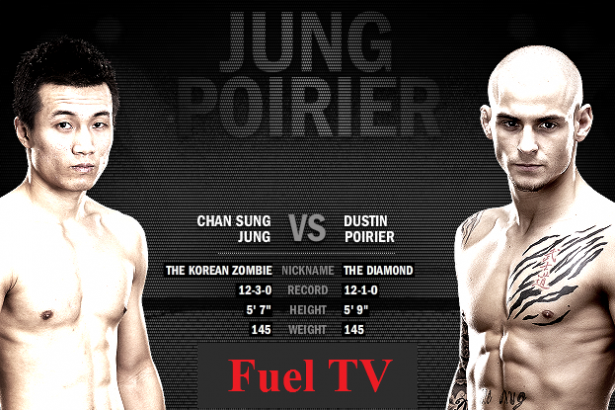 The main fight on Tuesday is a 145 pound match between ‘The Korean Zombie’, Chan Sung Jung (12-3), and Dustin ‘The Diamond’ Poirier (12-1). The featherweights are dynamic, the fights always fast-paced and exciting. Current champion, Brazilian Jose Aldo, is a great challenge for anyone but has not proven invincible---Kenny Florian and Mark Hominick tested him for the distance---but at the same time he doesn’t look to be threatened by anyone in the weight class. The Korean Zombie has fought in the UFC twice since coming over from the WEC (which the UFC purchased in 2010). His first fight avenged a controversial decision loss to the always tough Leonard Garcia: a lot of these Mexican fighters have no ‘off’ button. In his second fight, Jung KOed Canadian and former title contender Marc Hominick at :07 of round 1. This put Jung in Dana White’s sights. Fittingly, Jung got his nickname from his ability to take tremendous punishment and still move forward, as evidenced in his fight with Garcia. He has trained in kickboxing, Tae Kwon Do, BJJ, and Sambo. Although he is a highly technical fighter, he likes to stand and trade, to brawl. Even when brawling he looks technically sound. Since coming to the UFC from the WEC, Poirier is 4-0, with a single finish, a triangle armbar in his last fight against Max Holloway. His fight of note was when he stepped in for injured champion Jose Aldo to fight then #1 contender Josh Grispi, and won the fight at UFC 125 via unanimous decision, a fight that put Poirier clearly in White’s sights. Poirier has excellent balance and control on top, and is dangerous as a striker as well. His twelve wins feature 5 by KO/ TKO, 5 by submission. His lone loss, in August, 2010, was a unanimous decision that went to Danny Castillo. The Diamond is polished. Poirier’s victory over Grispi, and Jung’s win over Hominick, puts the winner here close to a title shot. The Diamond will test The Zombie severely, and will try to put him in the grave, but he'll lose lustre and the fight, via TKO in round 3. Click here for the rest of the card. 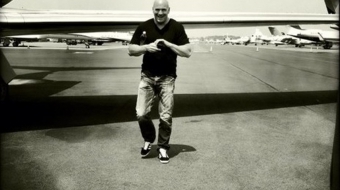 Another high-profile UFC fighter quits Dana White. Robbie Lawler wins a brawl over Matt Brown and a rematch against welterweight champion Jonny Hendricks. A champion and a former champion make each other dig deep in this stellar middleweight title match.